Apple has finally brought some good news to Mac hardware fans who have been crying out for a refreshed lineup. Last year saw the introduction of a revamped MacBook Pro lineup, and the opening keynote of this year’s WWDC has brought an updated range of iMacs with the latest Intel chips, a brand new and brighter display, and Thunderbolt 3 USB-C ports, as well as a brand new iMac Pro line. Here’s everything you need to know about both, from further details about their internals to pricing and availability. iMac Pro: Apple has teased its brand new iMac Pro model, which is set to arrive at the end of the year. As you might expect, this will be Apple’s most powerful Mac hardware ever, offering workstation-class performance with an up to 18-core Xeon processor. Yes, that’s right – 18-cores. It will ship with a 27-inch Retina 5K display, Radeon Vega graphics, up to 16GB of VRAM, 400 Gbps of bandwidth memory, up to 11 teraflops of single-precision computation, four Thunderbolt 3 ports, and a built-in 10GB Ethernet port. That hardware will start shipping in December and will set you back a cool $4,999. 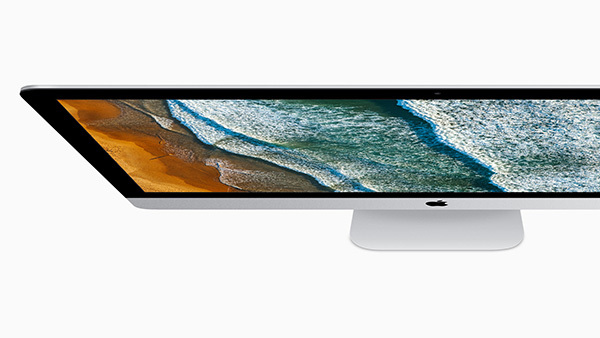 iMac Refresh: Apple is also revamping the internals of the existing iMac 5K (27-inch) and 4K (21.5-inch) range by bringing the latest Intel Kaby Lake processors to the new hardware. Apple has also taken the opportunity to introduce what it calls the “best Mac display ever,” which should be good for a whopping 500 nits of brightness. In case that doesn’t actually mean anything to you, it’s approximately 43-percent brighter than the previous model, which, in all honesty, was an impressive visual experience. Given the fact that the machines are now powerhouses from a virtual reality perspective, no powered by Radeon Pro 500-series graphics with up to 8GB of vRAM, the newfound visual experience will be much appreciated. The 21.5-inch model will also have new configuration options. Consumers will be able to slap in up to 32GB of RAM alongside those new Intel chips, with 27-inch owners able to go up to 64GB if they see fit. Of course, there’s a charge involved in that. Those iMacs will also come with two Thunderbolt 3 USB-C ports, which instantly makes it Apple’s first desktop machine to adopt that standard. Visually speaking, not a lot has changed, but it doesn’t really matter when you consider how beautiful it was and the changes made internally. 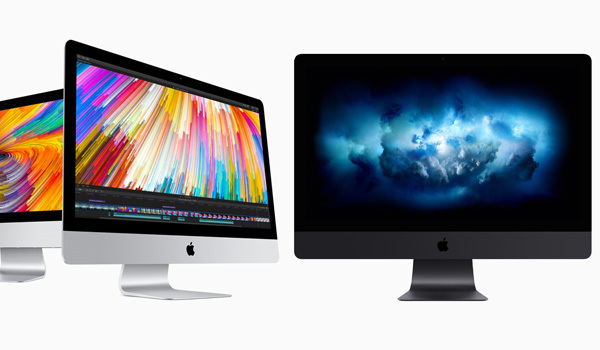 These new 2017 iMacs refresh are offered with immediate availability, with prices reduced compared to previous-gen models. 18-core Xeon processor…now we’re talking. $5k for that is not out of the question either. Is the new iMac Pro upgradeable by users or is it like the current iMacs, closed system ? Are the new 18-core Xeon processor the new Skylake-X Intel Core i9-7980XE 18-Core processors?